Petersham Bible Book & Tract Depot: Time for Wonder! The creation of God is wonderful and shows us every day how great our God is. With this colouring book, children learn to know the creation of God. 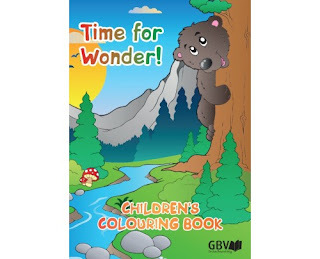 Many pictures to color, Bible verses, stories and puzzles make this coloring book ideal for children between 4 and 8 years.